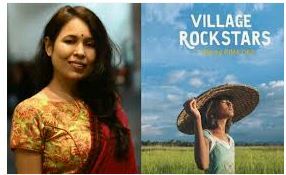 STORY: For Sneha, a regular woman of a small village Kathikhera near Indian capital New Delhi, a dream, which she never even dared to dream came true when a documentary on her and the likes of her made it to the Oscars. Indian director, Rayka Zehtabchi’s film ‘Period. End of Sentence’, based on women fighting the taboo of menstruation in this small village, featuring Sneha her colleague Suman, has made it to the 91st Academy Awards shortlist in the Documentary Short Subject category. “It feels as if a dream, which we didn’t even see, is coming true,” said an ecstatic Sneha. Both Suman and Sneha work for a small setup installed with the help of a women empowerment organization, Action India. Suman was the first one to be associated with the organization and led the movement to unite more women to the task. The film deals with the plight of the women during menstruation, the lack of sensitization in the rural community, the need to normalize the internalized stigma, and the predicament of women working to make affordable sanitary napkins. Before the documentary was made, women coming to make the sanitary napkins at the factory had to tell their family members and neighbours that they were making diapers for babies. In fact, Suman and Sneha had to make a backdoor entrance for the workers as they “didn’t want to be seen” working there. The women together make 600 sanitary napkins a day here now. Coordinator with Action India, Sabana, also narrates the tale of the difficulties in making of the documentary. “A lot of people took objection during the making of the movie wondering who were these people at the factory, bringing such big cameras,” says Sabana. She adds that the bigger taboo was the subject itself – menstruation and the women were not speaking freely because they were feeling shy. India’s battle with the taboo around menstruation has been a long one. Menstruation and any conversations related to it are considered unmentionable in the rural parts of India and women are often left with using and reusing pieces of unhygienic clothes leading to several kinds of ailments. The taboo has led to numerous menstrual myths being created which suggest that having your period is a disease or a curse – which leads girls and women to believe they are dirty and impure.